Good nutrition is a vital foundation for good health and disease prevention. It must consist of eating the right foods and taking key nutritional supplements. The most important foods you should be consuming are those that produce the least amount of inflammation within your body. The reason most people develop a disease is because the foods they eat are inflammatory. Experts call this Systemic Inflammation. This is different than acute local inflammation from an injury such as a sprained ankle. Systemic Inflammation is a chronic, low-grade inflammatory reaction to certain foods we eat. Sugar, flour, trans-fats (partially hydrogenated oils), vegetable and seed oils, and meat and eggs from grain-fed animals cause the release of excessively high amounts of inflammatory chemicals that cause tissue destruction, DNA damage and eventual disease. Research now shows that poor dietary habits create a state of Systemic Inflammation that causes the development of most diseases, including aches and pains, heart disease, cancer, osteoarthritis, osteoporosis, Alzheimer’s and Parkinson’s disease, multiple sclerosis, fibromyalgia, chronic fatigue syndrome, sinusitis, allergies, acne, asthma, digestive conditions, flu symptoms, dysmenorrhea (menstrual cramps), endometriosis, high blood pressure, depression, metabolic syndrome (pre-diabetes), and diabetes (1-14). Are You On The Path To Sickness and Disease or The Path To Wellness and Health? Most doctors and patients are managing these common diseases with medications to control the symptoms. However, the underlying cause of most chronic diseases is the inflammatory foods we eat, not the lack of medicine. Medication is not fixing the problem. It is simply controlling the problem. 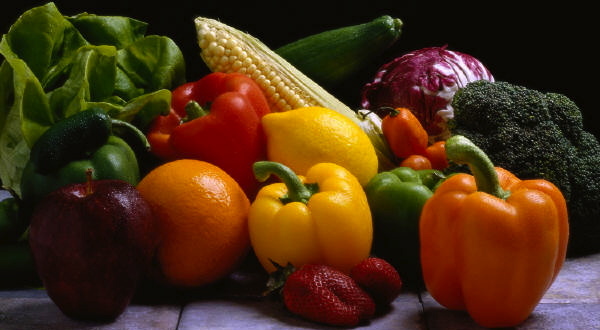 Disease is most effectively treated and prevented by eating less inflammatory foods and more anti-inflammatory foods. Diets, such as the Mediterranean, South Beach and Paleo diet are mostly anti-inflammatory because they promote more vegetables, fruit, lean meat and fish, and less sugar, grains and processed food. 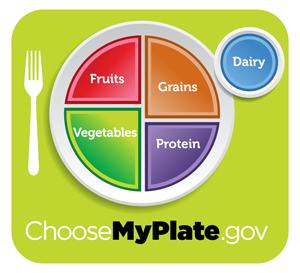 The USDA also recently changed their long-standing food “Pyramid” with a more up-to date food “MyPlate” which stresses more fruits and vegetables and less grains. Spices: All including Ginger, Turmeric, Garlic, Oregano, Basil, Rosemary, Cloves, Fennel, Anise, Coriander, etc. Adapted From: Seaman, D. Nutritional Considerations for Inflammation and Pain. In: Liebenson CL. Rehabilitation of the Spine: A Practitioner’s Manual. 2nd ed. Philadelphia: Lippincott Williams & Wilkins; 2007: p.728-740. 1. Seaman DR. The diet-induced pro-inflammatorystate: a cause of chronic pain and other degenerative diseases? J Manipulative Physiol Ther. 2002; 25(3):168-79. 2. Seaman DR. Nutritional considerations for inflammation and pain. In: Liebenson CL. Editor. Rehabilitation of the spine: a practitioners manual. 2nd ed. Philadelphia: Lippincott Williams & Wilkins; 2006: p.728-740. 3. Cordain L. The paleodiet. New York: John Wiley & Sons; 2002. 4. Cordain L, Eaton SB, Sebastian A et al. Origins and evolution of the western diet: Health implications for the 21st century. Am J Clin Nutr. 2005;81:341-54. 5. Simopoulos AP. Essential fatty acids in health and chronic disease. Am J Clin Nutr. 1999; 70(3 Suppl):560S-569S. 6. Simopoulos AP. Omega-3 fatty acids in inflammation and autoimmune diseases. J Am Coll Nutr. 2002; 21(6):495-505. 7. Cordain L. Cereal grains: humanity’s double-edged sword. World Rev Nutr Diet. 1999; 84:19–73. 8. Smalley W, et al. Use of nonsteroidal anti-inflammatory drugs and incidence of colorectal cancer: a population-based study. Arch Intern Med 1999. Jan 25; 159(2): 161-6. 10. Norrish, et al. Nonsteroidal anti-inflammatory drugs and prostate cancer progression. Int J Cancer 1998; 77(4):511-5. 11. Rosenberg, et al. A hypothesis: Nonsteroidal anti-inflammatory drugs reduce the incidence of large bowel cancer. J Natl Cancer Ints 1991; 83(5): 355-8. 12. Saito T, et al. Inhibition of cyclooxygenase-2 improves cardiac function in myocardial infarction. Biochem Biopsy Res Commun 2000; 273(2): 722-5. 13. Watkins, et al. 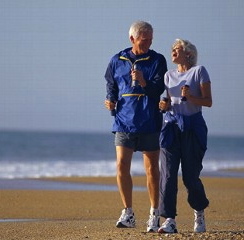 Omega-s polyunsaturated fatty acids and skeletal health. Exp Boil Med 2001; 226: 485-97. 14. Montine TJ, et al. Elevated CSF prostaglandin E2 levels in patients with probable AD. Neurology 1999: 22; 53(7): 1495-8.